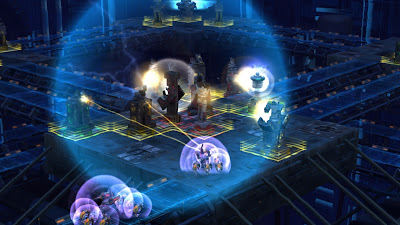 What it is: Defense Grid is a tower defense game that makes the player think on the fly to decide what tower to place on the specified grid to prevent the alien opponents from hijacking your power cores. The title boasts ten solid hours of story play through twenty maps in the Awakening campaign alone, with four bonus Borderlands maps, and once completed, you have over a hundred challenges to master. What’s to enjoy: Hidden Path stuck to the basics of what makes a tower defense game addicting, easy to pick up, and fun to play. 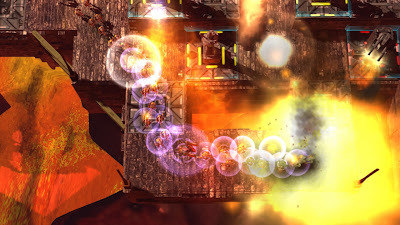 The high definition graphics make this XBLA title look great, and while there can potentially be a lot going on all at any given time; it is still easy to see what is going on. Defense Grid started as a PC game last year and while tower defense games tend to be a lot easier to play with a mouse than a controller, the developer did a great job converting the control scheme to the Xbox controller. The not so great: There is a good amount of trial and error to completing each map, especially the further you get into the game. The first four of five missions are pretty straightforward as to where the towers can be placed, but after that, you need to be more careful in regards to what tower is used and the location it is placed to prevent numerous missions restarts. 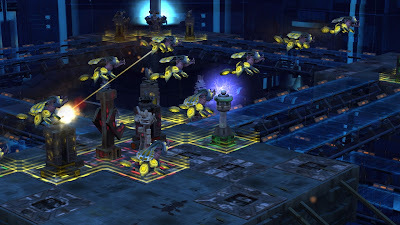 The checkpoint save locations also does not help when all the power cores are taken, in most instances it is more beneficial to restart from the beginning than from the last checkpoint. All in all, there is a lot of fun to be had in playing Defense Grid. 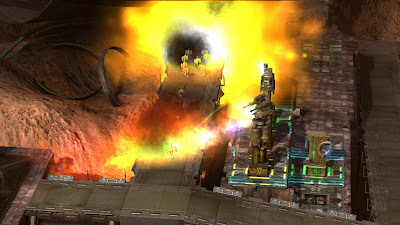 The progression in difficulty makes it easy for newcomers to the genre to pick up and get into the frantic tower building process while suppressing phases of alien invasions does not get old, just remember to think a couple steps ahead of the enemy and keep an eye on the power core meter. Mashbuttons.com gives Defense Grid: The Awakening an 8 out of 10. 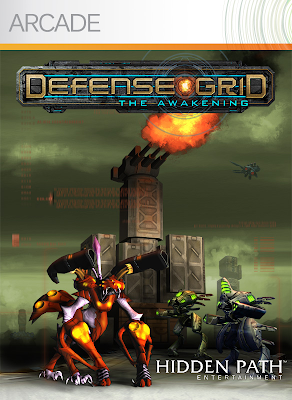 Defense Grid: The Awakening is available now for the Xbox 360.